Thanks, Robin, for a great idea. These were such fun! I have nine for the drawing but I’ll probably make a batch for myself. That orphan blocks box must have belonged to Pandora . 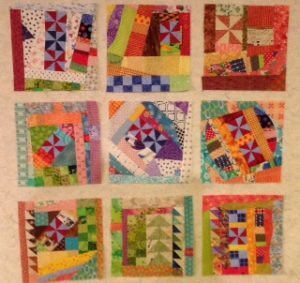 . .
Pandora’s Box would be a great name for a quilt made from these blocks.